30 minute average arrival times. Call now for all your local low price needs by calling Sheffield’s Locksmiths TODAY. No Call Out Fee. No Fix No Fee. Clear, honest and fair prices guaranteed. Fully Insured. Use the EASY DIAL buttons. All hours. Professional locksmith Sheffield with 18 years experience. Student and OAP discounts. When you’re locked out call us 24/7. Whatever your locksmith Sheffield requirements we have it covered. High quality service for all lock outs, keys, doors, gates, garages, letter boxes, UPVC doors and windows and more. Best prices guaranteed and the fastest locksmith Sheffield arrival times to gain you access fast. Need access fast for the most competitive prices? Call the reliable locksmith Sheffield anytime of day or night 365 days a year. 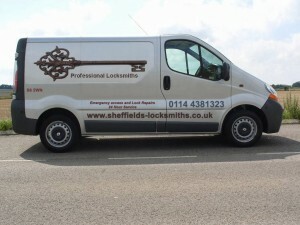 When you call a quality locksmith Sheffield he will take your location and can be with you fast. Only pay what you are quoted. All inclusive prices. Work guaranteed 12 months. We specialize in non-destructive entry. No surprises. A locksmith Sheffield Best Quote Guarantee. Need UPVC Doors Repaired by a Locksmith Sheffield? Save money by letting Locksmith Sheffield repair rather than replace your UPVC doors and windows. For the fastest and cheapest solution. Trusted, Affordable and Fast Locksmith Sheffield. All domestic and commercial lock problems. Call for a free quote or advice on any locking issue 24/7. Any lock, UPVC door and window repairs. Call for a free Locksmith Sheffield quote now. Call for a quote. 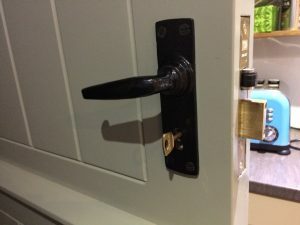 Is a wood door more secure than a UPVC door? How secure a door is is subject to a row of factors. One question that is often brought to us when someone is looking to have a new door fitted: is a wood door more secure than a UPVC door? The short answer is that a good solid wood door under the right conditions would far outweigh the security of a common type modern UPVC door. However, and this is an important point, the ideal situation for a wood door to become more secure than a UPVC door is rare. Wood warps with weather and wind, requires proper installation and secure hinges and fastening parts to make it the better option. Speaking strictly from a point of security. On top of that, if you don’t have sufficient weather cover, say a porch or another type of protection from the rain. The door’s security rating will diminish quickly. This is a weakness that the often much cheaper UPVC door variety doesn’t have. 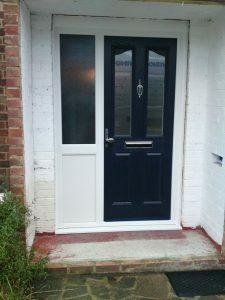 But with the reason for choosing a fibreglass door more often than not being to keep costs down, the security as you might guess is on the lower spectrum of what is available out there. If a wood door for your situation is not more secure than a UPVC than perhaps that should be your choice. Speak to our trained professionals today to find the door installation and door security help you need. There are of course a range of other materials out there. If you would like to know in more detail about the pros and cons of steel and aluminium doors please find further reading here. Lastly, a fine wood door is hard to beat when it comes to beauty and aesthetics. This is a subjective view from our team, and if you like the sleek look for modern materials. Then a wood door without proper conditions is not worth picking over a UPVC variety. How do I secure my new home? If you are in the midst of moving into a new home there are some things which are good to keep in mind. When new to a building the first point of call is to check the locks on your doors. To keep in line with current security standards is vital. 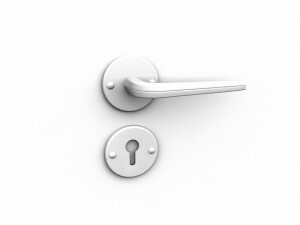 If the locks and keys are not certificated it’s also recommended to replace locks. 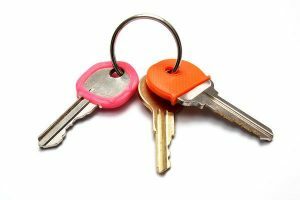 There may be keys floating about to your new property which you are unaware of. To best secure your new home attain the assistance of local professionals in the field. Once you’ve had the initial lock check done for your doors and windows there are a number of ways and methods to gain insight. A deeper understanding of the security of your home is knowledge which will assist you in all security questions. One suggestion which we recommend is to place yourself in the mind of the burglar.To find in-plain-sight risk areas yourself walk around your home and pretend that you are the one breaking in. The police can also offer advice. By a mock burglary performed by yourself you’ll soon come to see things which often pass without notice. The help you need with finding the right products to battle risk at your property can be found with us. Our crew is here to assist at all times. A security check and a discussion with us is a great way to secure your new home. 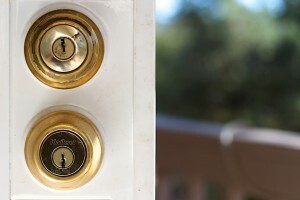 One last tip when it comes to the question of securing your new home. Keys, locks, alarms and security products are all great ways to protect. But the most important thing is to simply give some time and thought to your security. Give some thought to how you can approach it and especially give some time to think about why you want your new home protected. It’s distressing, but not surprising, that many people are simply unaware of the extent of protection they are afforded by their current security solutions at their property. The hassle and stresses of everyday life mean that something as important as home security can be unfortunately disregarded when it should really be focused on more than ever. Upgrading your home security can be done in a number of ways. Like most things, there are minor improvements which can be made, usually by way of deterrents, and major improvements such as CCTV, alarm systems or even digital, smart locks. Whatever the choice or option may be, there’s always something which can be done to make your home more secure. However, while a number of options may exist, your locksmith Sheffield recognises that it may not always be clear which is the correct option to take. That’s why it’s important to have an expert locksmith Sheffield service which you can rely on and use to help determine these points. By contacting our professional team, you can have the peace of mind of calling on the services of trained professionals who can provide advice tailored to your property. With years of experience in the industry and operating in and around Sheffield, our expert lock engineers can provide you with practical knowledge and excellent security tips which can make a real difference to your home. Therefore, the first thing that should be done, aside from a phone call to your helpful locksmith Sheffield, is to arrange for an in-depth security survey. Employing the services of a trained professional to assess any potential weaknesses in the security of your property can only be a positive. After all, with all the distractions in every day life, it’s always beneficial to have an outside opinion. Our friendly, highly-trained locksmith Sheffield will then provide you with a number of potential options for improving your security. Should you require any of the services, they can be completed there and then. Otherwise, we are always happy to go the extra mile for customers and provide advice on what can be done and what should be kept an eye on. See what we can do for you by giving us a call today. As a full-service locksmith, we’re proud to work on both residential and commercial premises. After all, everyone deserves both their home and place of work to be secure. We’re particularly proud of how many businesses we’ve managed to assist over the years, especially the local ones, with improving their security and ensuring they have the groundwork in place to make the best of their business and be as successful as they possible can. Ensuring effective security is even more important if you own a small, local business. Unlike larger companies who are likely to benefit from large insurance policies, small businesses don’t have such benefits and when damage occurs to their property it can be far more devastating. That’s why we’re proud to have a history of working together with small, local businesses in order to ensure they have the basic level of security they need to thrive and grow. What’s more, we always ensure our dedication to small local businesses extends beyond our initial work. 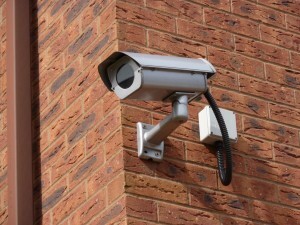 We regularly check up on them to ensure that no issues have arisen with their security. Effectively, we take the hassle out of their hands so that they can focus on making their business the best success it can be. We believe it’s this dedication to our customers why friends and family always recommend the services of locksmith Sheffield. Your professional locksmith Sheffield works hard to keep the cost of security down. In an otherwise uncompromising financial and economic circumstance here in the UK, it is important you invest in products which give you excellent value for money. That’s why we recommend making an investment in products which are guaranteed to last longer. Of course, it may mean spending more money in the short term, but the long term benefits make it worth the outlay of cash. But what could we be talking about? If you thought it could possibly keyless entry systems, then you were right! Of all the problems your locksmith Sheffield are phoned about on a regular basis, unsurprisingly most of them concern problems with keys. But what if such problems could go away? One way of doing this would be to invest in a secure, digital lock. Digital locks don’t have to be expensive and offer a level of convenience not afforded by other types of security. They are particularly useful for those who own rented property or offices. 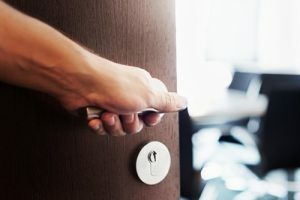 One of the biggest problems we see from customers is the need to regularly change locks when people leave the premises. As a matter of security and good practice, this is something your locksmith Sheffield always recommends. However, with the installation of a digital lock, this needn’t be necessary. Whenever someone leaves the premises, all you need to do is simply reprogram the lock yourself and you’ve safely secured your property. Long gone are the days of having to call a Sheffield locksmith to change your locks and cut you some new keys. If this sounds like something you would be interested in, you should give your friendly locksmith Sheffield a call at any time of day or night. Our team of expert lock engineers work around the clock to ensure you always get the service you deserve. When thinking about home security, the most important thing to focus on first and foremost is the security of your door itself. 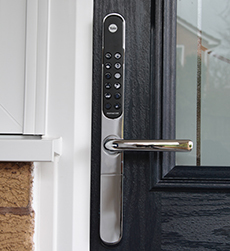 If you have a wooden door, your locksmith Sheffield will always recommend you have at least a mortise deadlock installed and if you have a UPVC door, we will always recommend an anti-bump, anti-snap lock to be fitted as standard. Whilst that is the most important place to start, it is not the only thing to consider. Unfortunately, a very determined intruder can be hard to stop once they’ve set their mind on something. So while your property may be adequately protected, it is not always a 100% guarantee of protection. Therefore, it’s important to ensure your property isn’t even considered to be targeted. The best way you can ensure this is by investing in appropriate deterrents. Of course, what is suitable will depend on your property and your budget, but this is something a friendly locksmith Sheffield can happily discuss with you over the phone. 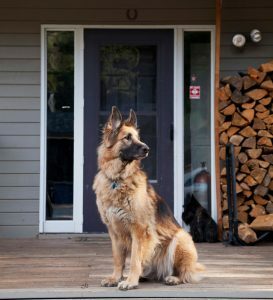 One particularly helpful deterrent for burglars is that of man’s best friend, your dog! Whilst your locksmith Sheffield would never recommend getting a loving pup purely for security reasons, if you have a dog and can be useful to have them trained to react appropriately when visitors arrive. It would be wrong to assume this means recommending have a dog trained to be aggressive. As the saying goes, the bark may be worse than the bite. Just having a dog that gets excited is the appropriate remedy to ensuring visitors are always noticed. If you don’t have a pup to love and take care of, it’s worth considering a motion sensor that sets of a barking dog alarm. Not many people would be clambering into your property if they heard that! To complement such sounds, we always recommend that your property is well lit. Your locksmith Sheffield can discuss a range of security lighting which may be appropriate for your property either over the phone or at a site visit. Whatever options you may be considering, your professional locksmith Sheffield can assist. It may seem that your locksmith Sheffield has spoken too many times about the recent rise in criminal activity, but it’s a point that is important to remember when thinking about upgrading your home security. The most disheartening thing over recent months for this security professional, is the number of properties which we have attended following a break-in, only to find they did not have a mortise lock affixed to their door. This is now a minimum requirement of most home insurance providers and is a minimum requirement of your locksmith Sheffield. Affordability is at the heart of everything we do and we want to ensure everyone in Sheffield has the minimum level of protection which should be available to adequately protect your property. A mortise lock is usually found in the form of either a sash lock or a deadlock. The latter is far more common and simply comprises a bolt and a keyhole. When a key is turned in the keyhole, the bolt moves across and locks into the frame of the door. The former is similar, but has a latch and handles too. This means that to fully unlock a sash lock, the handles must be turned to pull back the latch. This may seem to provide an extra layer of security. However, in reality it’s more the case that whichever mortise lock you choose may well be down to the style and aesthetic of your door. A locksmith Sheffield can help you determine this with a few simple questions. The level of security provided by a mortise lock depends on the number of levers it has. Put simply, the more levers, the more protection, as the harder it is to pick. Most home insurance providers require a 5-lever British Standard lock as minimum. 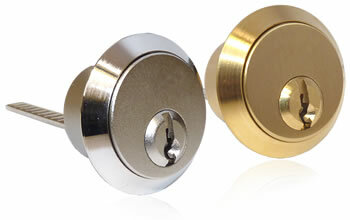 This is also the minimum standard provided by your professional locksmith Sheffield. If you’re unsure of what your insurance policy requires to be validated, you will always find a helpful locksmith Sheffield ready, willing and able to cipher through your policy to ensure any installation fits the specified requirements. With the technological developments in the security market, there are now more options than ever, both traditional and modern, with which to invest in so that you may secure your home or business. Now it would seem that there is even more for businesses considering they are likely to have a larger budget. However, before making a decision on the security you should invest in, it’s important to know what types of security are on offer. As with most mechanical engineering and the related fields, the answer is unfortunately “it depends”. What may be available for your business not only depends on your budget, but it depends on your type of premises, the doors and other entry points to the property. A very common lock that we install regularly for small business owners in Sheffield is an electric strike. This is excellent for those with offices, especially if it’s a shared office with other small businesses. Instead of simply allowing anyone to walk in freely, the electric strike is usually wired into an intercom. In fact, you will commonly see them for shared flats too. Simply by pressing a buzzer you can release the lock and let whoever you want into the property. Simple and effective, these are excellent for peace of mind and security. However, these are better suited to aluminium or wooden doors. Similar to this and also commonly requested by small business owners is the use of electromagnetic locks. 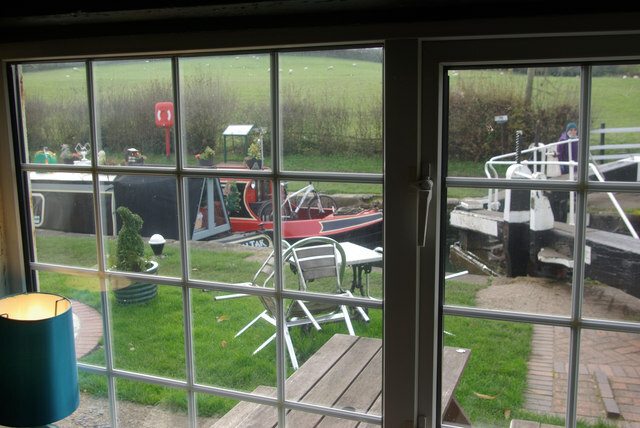 With no keyhole, these docks can’t be picked and unless an unwanted visitor is able to shut off your electricity, then the fail-safe aspect of the door won’t come into play. These can be used in conjunction with any electrical signalling method. If your business requires smarter security, then these should really pluck your interest. In fact, if any products take your interest, you can ring your local locksmith Sheffield at any time of day or night and they will be more than happy to provide you with more information and determine what we have which may suit your premises. Protecting your property is important. There’s no question of that. When you leave for work in the morning or when we get on a flight to a nice relaxing holiday abroad, we all want to live safe in the knowledge that our homes are safe from harm’s way. The best way to ensure this is by allowing a locksmith Sheffield to carry out a routine security survey on your property to highlight any potential weaknesses in its defence from outside interferences. From there a professional security advisor can discuss potential options for your house going forward. If your house seems secure, it’s likely that only small alterations will be recommend with no obligation to carry out any work. It’s also important to protect the contents inside your property. Business owners know this only too well. They protect their stock behind large sealed doors with heavy duty locks; and the day’s takings are hidden safely in a safe along with other important documentation. What many people do not realise, is how useful a safe installation is for our homes as well. All safes installed by your local locksmith Sheffield are supplied locally and maintained at no extra cost. With our focus on security, we guarantee that all installations are fire resistant and burglar-proof meaning you don’t need to worry about the safety of what’s contained inside should the worst happen. If you also find yourself in a position of having forgot the combination for your safe, your expert locksmith Sheffield is open 24/7 for you needs meaning that if you need to gain emergency access to your valuables and important documentation, one of our friendly locksmith Sheffield team can be at your property within half an hour of your call no matter what the time of day or night. This is especially important if you can’t access your passports close to a holiday! When it comes to upgrading your security, sometimes it can be very hard to know where to start. After all, with so many options on the marketplace how can anyone make heads and tails of what is best for your home. Our expert locksmith Sheffield team are known for giving professional advice tailored to your specific property. This is important when it comes to security as the marketplace is constantly changing. Trusted brands such as Yale, ABS and Chubb are constantly competing in a fast moving market to be the number one security provider. That’s why your locksmith Sheffield team are regularly testing new products as they enter the marketplace. Only by keeping on top of technological and product advancements, can your local locksmith Sheffield provide truly tailored locksmith service solutions. If you speak today with the expert locksmith Sheffield specialist, you will be coming to a team that can help you on a wide range of security matters. If you need emergency access to your property, your locksmith Sheffield has the tools and personnel for the job. No matter what type of lock is on your property, your lock specialists can regain entry for you. With a focus on non-destructive measures, you can be sure that they aesthetics of your property will never be harmed to regain access. This can be done through lockpicking and other means. Then your locksmith Sheffield is available to help you with routine work. If you want your locks upgraded, our team hold the key. Mortise locks should be standard on wooden doors and if not found, your dedicated locksmith Sheffield can install one for a reasonable price. Otherwise, there are usually high standard locks available for all lock variations. If we don’t have them in stock, we can order the parts in and arrange an installation time convenient for you. Then there’s access to garage doors, postboxes and more. Internal locking mechanism caused you trouble? The locksmith Sheffield team will be there to remedy the problem no matter what. There is no point in security installed half way. 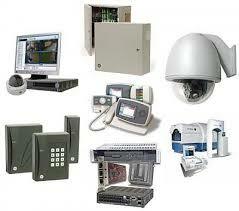 A good installation is what guarantees you the security that your home or your workplace not only feels safe. But is secure and under active protection at all hours. The initial reason for contacting a professional locksmith prices query? Sheffield installer is always with the installation to have your security issue fixed or your present security upgraded. 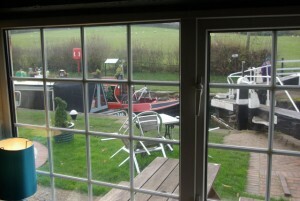 Other than the 24 hour emergency access service provided by the friendly staff. 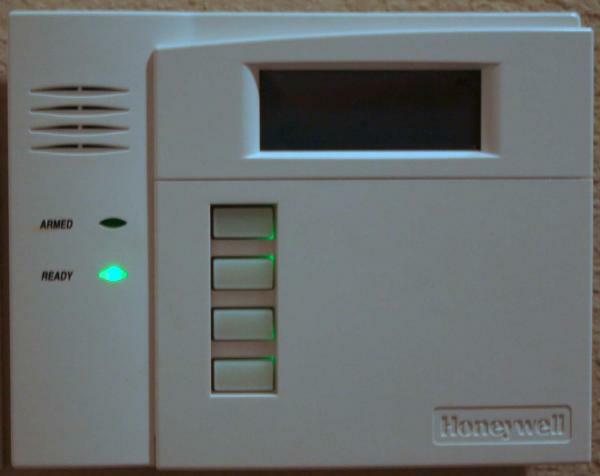 The most common questions and inquiries we have are with regards to home security. If you are unsure about any of your home security features, please don’t hesitate to get in touch with the highly trained team here to find the right guidance and information for you. A local locksmith Sheffield technician is here at all hours to ask your urgently burning security questions. Our services are focused on providing security which last. Which makes you feel comfortable, convenient and safe wherever you are. This includes resting well when abroad or away visiting family knowing that your home or business premises are under safe lock and surveillance. Alarmed and monitored in a way that covers all your needs. SPeak to locksmith Sheffield today for information or to book in a security alarm installation or other service. By trusting a local and caring locksmith Sheffield crew, by placing your security in our hands. You guarantee yourself high security at low cost. Become one of our long term customers who trust and rely on our great products and fast application and turn around on new or repaired security for you. Locksmith Sheffield have what you need. Phoning us is simple, and something you can do when it suits your timings. Can a locksmith Sheffield security specialist find the right materials for my security features? The right materials for the right security is one of the most vital aspects of custom built security. That said, even if you are after a individualised security solution, there are a range of in between levels and mixtures of services which will allow for your security to be highly personalised, yet made cheap. Speak to a skilled locksmith Sheffield installer today, and find how your personal security solution can be found at the right price with us. A quick conversation is all you need to get started and your home or business will be on its way to better lock, alarm and key security than it has ever experienced before. And the time is right for it. Right now, security specialists at a trusted cheap locksmith Sheffield practice knows that security is of vital importance. Risk rates and home intrusions rates are soaring, and more and more home and business owners are taking on a customised approach. A skilled locksmith Sheffield professional will be able to help you with the security features you need without charging you an eye for it. For us, your security, at home and work, matters the most, and we know that good security is something that you build from the ground upwards. As any home is built on a good foundation and a loving owner; good security is built on good locks, solid hardware and a well of knowledge allowing for intuitive high security solutions. Locksmith Sheffield specialists in the local area can help you find the right features and locks for you. Speak to us now for more information or to find any service you need from a fast and price competitive locksmith Sheffield professional now. 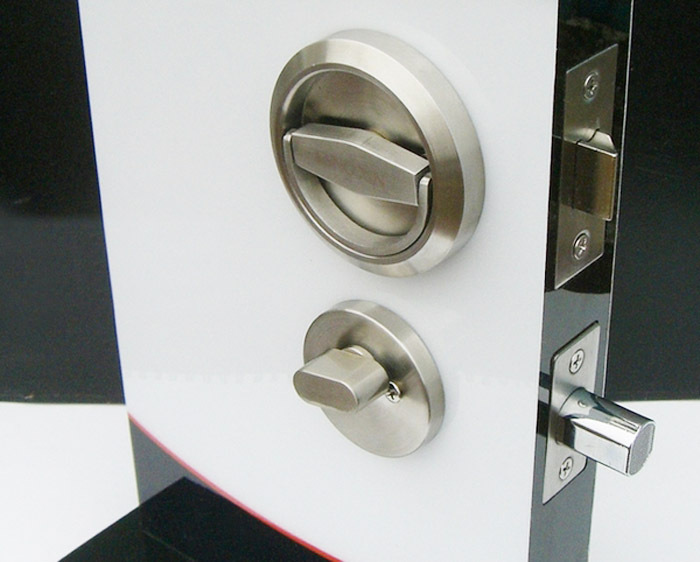 A locksmith Sheffield security specialists will help you find the best solution at any time. Speak to us now. Can a locksmiths Sheffield professional help me validate my home insurance? Paying for the feeling of security is common. Make sure that you are not only paying for the feeling and once disaster hits you find that you cannot claim due to lacking security means. With a locksmith Sheffield service that know what you need, who knows how to ensure validation of your policy, you will eradicate such a risk. By speaking to us now, you’ll find how a competitively priced locksmith Sheffield crew can help validate your home insurance. The same statement goes for your business insurance policy of course. If you are having trouble in deciphering all the specifications of locks, keys, security systems and so on that is required, then speak to a skilled locksmith Sheffield pro. 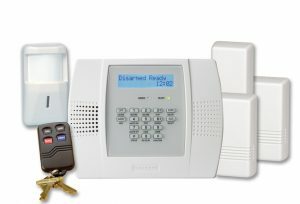 One who is used to dealing with security systems and alarm installations; one who is always happy to assist, no matter what time you call; one who knows the value of your time and money; and one who listens to you and who works hard to ensure that you are not paying premium for something without getting the full benefit of it. Locksmith Sheffield professionals who are recommended and trusted always work to the highest of security standards. Get in touch with such trained individuals who work with personalised lock systems: both home security and business security. A locksmith Sheffield crew will prioritise your security, and your insurance policy validation as highly as possible. Through the trained eyes of our engineers you’ll find that soon your insurance policy’s security requirements are fulfilled and more. Be, feel and find yourself as secure as can be with the fastest locksmith Sheffield service crew in the area. Call us now. Can a locksmith near me assist with my security maintenance? Of course by getting in touch with a professional who has been operating in the industry for several years, you will have the best of what is available on the market today at hand. You will, in addition to having it easily available at the call of a number, also have it available and installed at competitive prices and done locally by locksmith Sheffield engineers who personally care for your security. In the longer run you will also have the security maintenance you that you need from your trusted locksmith near me Sheffield assistant. For us your continued security matters, and for us your security will be best kept through regular maintenance and check ups. Which you can sign up with us to have done on a regular basis. This may seem an expensive option at the time. However, in the long run it is of course cheaper, more secure, and easier for everyone involved. With regular security checks, with regular maintenance and checks from a professional and hardworking, up to date and ready locksmith Sheffield engineer. You can rest assured that all your bases are covered, and remains that way. In regular checks we often find little thing which need improving or changing, and by finding them early on. 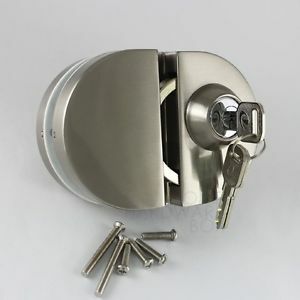 You stand to pay a small price for replacements parts rather than a larger one that would come with say a the complete change of a lock or door that is no longer in good operational form. Lock and key engineers with our professional practice are specialists at spotting the start of potential issues, and though this, money is saved in the long run. If you are interested in trying out the maintenance services of a skilled and trusted locksmith near me in Sheffield professional. Get in touch using the number above right now. 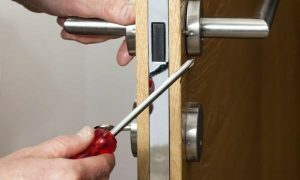 Can a cheap locksmith Sheffield emergency lockout specialist open any lock? To find your lock secure and strong is a great thing, knowing that your locks are effective in the job ascribed to them is a wonderful thing. Unless of course you are on the wrong side of the lock and missing the key. This is the time when the number of a skilled locksmith Sheffield lock specialist is good to have close by. Any lock, any time, and fast is part of our motto. If you are in a lockout emergency, we’ll be there in a jiffy and your common lock type will be guaranteed opened in a timely manner. Of course, subject to what type of issue at hand, the skilled locksmith Sheffield lockout specialists will have most customers through their own door in half an hour from the time when your call is received. Local cheap locksmiths Sheffield professionals are always ready, carry the tools and the knowledge needed with them, and will happily make their way to you sunshine, moonlight or neither. Other security features, locks, alarms, installations of either or installation of bates, bars and so on on is also something that you can get a local locksmith Sheffield worker in for. Our team is trusted and appreciated, and works hard for you. Diligently surveying the industry market, following industry news, and bringing you the best and latest security at nothing less than a great price. We are full of dedication for your security and your convenience. By making a good choice of local locksmith Sheffield provider you will guarantee yourself all the services you need from one trusted source for a long time. 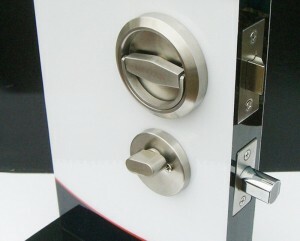 Long relationships between locksmith Sheffield specialists and customers are always the best and least time consuming. Based on trust, merit, great security and service. Get in touch with us now to ask your questions and to get your security and lock needs resolved, fast and easy. Do I need to have a burglar alarm installed? Following the latest trends and news you will have heard talk about home security and burglar alarms. The big question for many homeowners or renters today is if they need to have a burglar alarm installed. The short answer is yes, if there isn’t one present already. The reason why our experts say yes is due to the wide benefits this relatively low cost investment comes with. You need to have a burglar alarm installed especially if you have an insurance policy. 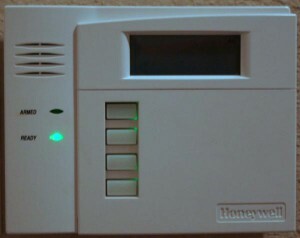 Often the type of alarms, security and locks needed is specified in the policy. To adhere to it, is to ensure your right to claim should a fatal disaster occur. There are many true horror stories out there of people who have been unable to claim due to their poor security. Losing out not only on the insurance payout, but also on the amount that they spent over the years paying their insurance. To find the right type of burglar alarm to validate your insurance and to have it installed is easy with our quick and effective technicians. You can ask us any questions, and we are there to assist you with any home security or lock issue that you have. We are also happy to have a look at any documentation that specifies security needs for your policies. Keep yourself covered from all angles with the help of our friendly security specialists. To book in for a security inspection or to have your burglar alarm installed as soon as today. Call at any time and book in with us. Ready, available and happy to answer any home security and alarm questions that you have. A burglar alarm installation is something we highly recommend, something simple to get done, and something affordable to keep your safe and secure: physically and financially. Adding a bit of extra security for your doors at home or at work is one of the best security upgrade choices you can make at present. The reason that your dedicated lock specialist would recommend it now is simply because the high security deadlocks available on the market now are highly resistant to attack, very difficult to bypass and that is even if you are an experienced burglar. At present, great deadlocks can be found on the market at fabulous prices. 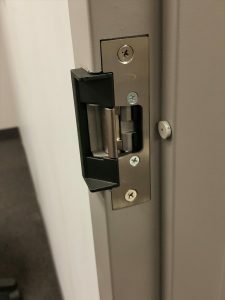 Said in a different way, your locksmith Sheffield highly recommends this cost effective way to improve on your security without having to think in extraneous ways or change your home to accommodate for security. Call and speak to your locksmith Sheffield now to find out more about the many deals we have on the high security deadlocks in stock now, and have it installed as soon as today if you get in touch early enough. There is no reason to go without that little extra protection for your doors, a priceless addition which will act both as a deterrent as well as a physical protection barrier against anyone trying to intrude on your property. In addition to that, locksmith Sheffield also recommends deadlock installations, especially for those who are planning to go away and leave their residence without inhabitants for any prolonged period of time. Not only will the deadlocks make your home security more solid, but anyone trying to get through, who perhaps have spotted the home empty, will have to cause a great ruckus to manage it. Of course you should always notify your neighbours to be extra vigilant towards suspicious behaviour around your residence while you’re away, but the addition of a great quality deadlock will add a tried and tested layer of security to your home also in this period of heightened risk. Ready to assist at any time, always waiting by the telephone and never too tired or inconvenienced by your call, the crew is happy to speak to you now about your security installation plans. Firstly, if you are planning an upgrade, the staff congratulate you in your decision. It’s for us, a wonderful thing to see awareness to security being awakened in people close to us. This is partially due to the great benefit such a shift in view brings with it, and by security systems upgrades and installations as well as an exchange of great ideas to keep safe, the locality is on it’s way to the top. Without a shadow of a doubt you’ve seen a CCTV camera, locksmith Sheffield knows that for most people this happens in the shopping centre, perhaps at work, or somewhere else away from home. But, did you ever give thought to what a great security feature it is? Locksmith Sheffield sees all the benefits with CCTV installations for anyone who has something worth protecting, there is proof from a multiple of directions indicating the great idea of looking into it if you haven’t already. For locksmith Sheffield, the most powerful use of the CCTV camera is the deterring factor it has for the camera-shy burglars and thieves. This is why we also often recommend our customers who are not yet quite ready for the big plunge of actual recorded monitoring to have a mock camera installed. Today the fake cameras work as one of the most cost efficient ways to add security to your home, there are many highly realistic varieties out there which you would have to be an expert in CCTVs to detect, locksmith Sheffield can also help you to find the right fake one for you, so get in touch immediately. We here at Locksmith Sheffield think an integral part of maintaining a business in this current climate is customer service, with evolution and advancements in the way we communicate and how we select a business to use. It’s more important what the general public think of your business than what’s actually true, which is why some companies spend so much on advertising and have brainwashed you into thinking they’re reputable before throwing all of their customer service out the window in their desperate attempt to get your cash. We operate slightly differently, in that we don’t spend an absolute fortune on marketing, because frankly we don’t need to we already excel at what we do in our customer service, and we know talk is cheap so we can show you what we do. We run a 24/7 365 day a year phone line, because to us hear at Locksmith Sheffield the most important part of building a relationship with your customer is to communicate, not just that but allowing your customers or anyone for that matter talk to a member of the business and pick their brains any time any place any week, it really is so simple to get in touch. We don’t use any automated robots and you’ll always be put through to one of our trained advisors who can guide you through any service we offer or can provide an over the phone no obligation quote in a matter of minutes. Call us and see for yourself! That the idea of home security is spreading locally is something that we are happy to see as the idea brings about great things. Many of our customers that have been with us for a long time are building great security for themselves at low costs, with our help of course. What we have been focusing on lately is window security, and the reason for that is that although many homes are getting their locks and alarm system up to date, Locksmith Sheffield knows that there are still many windows in our communities which still stand without the protection that they should have. As with many security features they are vital, especially as they are a common point of entry for burglars, but also as they are often left behind. We’re not claiming that this is the case for you, however if you know that you’ve not given any thought to your own window security lately, perhaps now is a good time to get in touch with locksmith Sheffield on the point. Costs never have to run away and our solutions are always built with your budget in mind, getting you the most for the least. There are increasingly more thieves who are dexterous and apt at climbing, however not to worry, with good window closing habits and with the right locks and latches for them your home does not have to suffer any heightened risk. Call us now to find out more from your window lock and security expert and remember, locksmith Sheffield is ready when you need us, so you can call at any time. It’s easy to forget about locks in spite of how often we use them. Most front door locks gets used several times on a daily basis, and as part of a routine they are often denied the attention they deserve. Not to worry though, with a locksmith Sheffield at your side who loves everything locks and keys, there is no need for you to keep things like that in mind. If you’ve not had a lock check or security survey done for a while it’s a good idea to get in touch with an expert. We know that there are many locks which have not been changed for many years, and in today’s world they simply don’t stand up against the modern threats of inventive burglars. We are not looking to scare you, and there is no reason to be alarmed, our only objective is to make you aware of the difference a modern high security lock makes in a burglary situation. Firstly, the risk you face of even becoming a victim of a burglar is greatly diminished by calling locksmith Sheffield to install an up to date lock. It’s as fast as it’s simple and convenient for you, we have many locks in stock and replacements are affordable and can be done with flexibility in appointment times. The modern thief knows that older lock types are weak to certain types of force, and knows how to quickly spot locks of this kind. Ring locksmith Sheffield now to find out if you are in need of an upgrade, or to get the information you need with regards to any security situation for your residence or for the commercial property of your business. Deadlocks, spring-locks, cylinder locks, window locks, latches and anything else that springs to mind is what the crew have a focus on. Examining, problem solving, advising and of course installing anew are all part of the things which you can find in our repertoire of services. The lovely locksmith Sheffield are dedicated to finding you the right solution for the lock issue you are currently presented with, and we will help bring a resolution in a quick, easy and affordable way. Helping you with what we know best is nothing short of a pleasure for the caring workmen members here, and if you get in touch now you’ll have had taken the first step to a long lasting, perhaps even permanent solution for your situation. Of course you can also ask us any security related questions and if that is an area which you are looking to upgrade, you can trust in this locksmith Sheffield to bring you up to date, high quality products which will keep you as safe and secure as can be at competitive prices. If there is a locked door between you and where you have a right to and need to be, regaining access is something that we can help you with. A quick call is all it takes for assistance to be on the way, and remember, that the emergency locksmith Sheffield lockout service is available all 24 hours of every day, in every year. Feel free to call now. To bring about a better situation for yourself on the point of security, not much is needed from your part, all you have to do is get in touch with us now and we’ll take it from there. Your experience with locks, keys and security doesn’t matter and all private residents and business customers are welcome here. 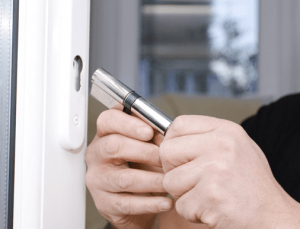 To get in touch now, is not only finding the services and the products that you need for your present repair, change or installation job, but it’s also finding the trained locksmith Sheffield, ready to come to aid at any time. Said more clearly, if you are in a situation that demands a quick solution, a lockout, a lock in, a malfunctioning lock mechanism, all you need is to have our number close at hand. With locksmith Sheffield there is never a need to panic, our access service is quick and on the way to you the second your call is taken. If the workmen and women here were asked the question, what is the most important thing to keep in mind when it comes to security in general, locksmith Sheffield would like to bring your attention to your locks. A sturdy up to date attack resistant lock on your doors goes a long way. If you are not sure what type of locks you currently have installed and would like more information and advice on the point you can ring locksmith Sheffield and find out now. If there is a need for an upgrade you can also rest assured that we have many of the regular lock types in stock and ready to be installed. Of course all products that the trusted locksmith Sheffield provides are guaranteed and of the highest industry standards. Speak to a specialist security technician today and never look for another provider again, it’s as simple as a dial of the number above. It may sound a boring task to give yourself, however with a little bit of extra thought to it you may find that you can free up some head-space. Leave some of your worries behind to make room for new ideas and new things. A great example that your locksmith Sheffield often brings up is the simplicity of a basic, yet effective alarm and monitoring system for those of you who don’t have it already. By adding this feature, which is a quick, pain-free and very affordable home improvement – and by getting into the habit of using it, which is straightforward and will be in your routine within the first week of using it – you will not only get into the habit of being more secure at home, but also into the habit of thinking about your own security differently. What your locksmith Sheffield have found when speaking to our many great long term returning customers about it is that in these few seconds of getting home or leaving, many things come to mind. Sometimes with regards to your own security habits, sometimes with regards to your habits in life as a general, and as we understand it here, these few moments of automatic behaviour to protect your home and your investments, also bring with them insights which help in all areas of life. Of course your locksmith Sheffield doesn’t want to take this too far and claim that a good security system at home makes you into a philosopher, however what we can do is guarantee that the times you spent in worries over your home security will be freed up for more focused or dispersed thinking. Call your locksmith Sheffield for more information and feel free to ask us about anything security, locks or keys now. If you are joining the many who are creating a safer and more secure day to day the staff would like to congratulate you and welcome you to the security revolution. Today there are many good reasons to ensure that you make sufficient investment in your own security both at home and at work. This isn’t to say that security today is not affordable, it very much is, and your locksmith Sheffield can assist you if you are new to the field. 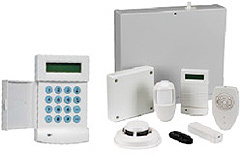 With us you will find applicable and affordable security solutions for your private home or for your business which is within your price range. Making sure that you get great quality and products which provide a high security situation at reasonable prices is one of our main priorities. If you get in touch now you can find out how you can make improvements on your current situation, and this locksmith Sheffield are always up to date with the latest. Meaning also that you will have protection in place which is current. Another point which is pressing today as technologies are moving forward is that those looking to make a quick quid in a dishonest way are also becoming better at doing so. By employing a locksmith Sheffield that is highly specialised and experienced in the field of security, you will also ensure that you give yourself the best possible chances to avoid potential disaster. Your daily requirements are also met swiftly and professionally by the friendly workers here. If you have any questions please have no hesitation, give us a call now and let your worries be laid to rest by someone who knows. Competitive quotes, high security solutions for your residence and for your work place are just a few of the many things you’ll find under our roof. Locksmith Sheffield top Defensive Gardening tips! It’s often overlooked in the context of security, but your garden can be a great place to make small, cost-effective improvements to your home’s security! 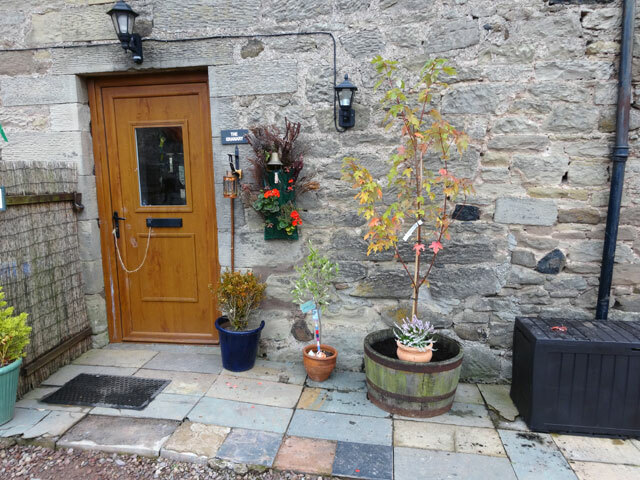 When considering how to make you and your family safer, you should think of every possible aspect of your property, and that’s why we at Locksmith Sheffield want to offer you some great defensive gardening tips today. For example, have you ever thought about using your plants to your advantage? Simple rose bushes can really scare off a thief, as they run the risk of cutting themselves or their clothes, both of which leave behind evidence after a crime. These can be planted anywhere in your property, but the best places are underneath your fences and windows, as in both cases this will stop someone from using these as an entry point to your home. 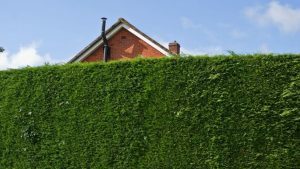 In a similar school of thought, you can use high hedges instead of fences to really keep the bad guys out – a hedge is much harder to climb than a fence, and surrounding your property with barriers will mean that you know exactly where people can come in and out from. Pair this with a gravel driveway, that goes from the entrance of your land to your front door, and you’ll always know – and hear! – whenever someone enters your grounds. And another Locksmith Sheffield top tip is to have motion detecting lights throughout your garden and the external walls of your house itself, which will let you see anyone approaching. So before the summer sun hits us at Sheffield Locksmith, we suggest you get your garden in order and keep your family safe in the warmer months!